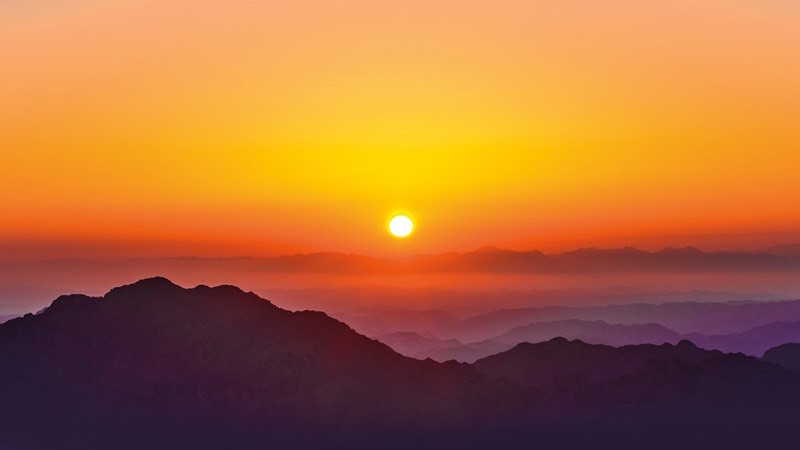 The Hebrew title for the book of Numbers is “In the Wilderness.” Genesis, Exodus, and Leviticus provide the history of Israel from their ancestors at Creation through the Egyptian captivity and Exodus to the sojourn at Mount Sinai. The book of Numbers begins at Sinai and follows through the forty-year trek in the wilderness to the eave of entering Canaan. During Israel’s journey in the wilderness, God demonstrates His incredible love and patience to His grumbling and rebellious people. He is true to His covenant promises to lead and care for His people as He takes them to the promised land. The title “Numbers” originates from the two censuses of Israel found in chapters 1 and 26. Chapter 1 gives the census of the Israelites that left the encampment of Mount Sinai in route to Canaan but die in the wilderness. Chapter 26 provides the census of the next generation that will enter into Canaan. The first census number is 603,550 (Numbers 1:46). It is a military census that includes only men twenty years of age or older. Women, children, and Levites are not counted, nor are the “mixed multitude” of non-Israelites or partial Israelites. The word “thousand” may not mean literally a thousand, since in Numbers 31:5 and 2 Samuel 18:1 it means a large group as a military division. Complaints of hardships in the wilderness (Numbers 11:1-3). The Lord sends a fire that consumes some of them. Complaint of no meat (Numbers 11:4-15). The Lord sends quail for a month and many die. Complaint of Miriam and Aaron against Moses and his wife (Numbers 12:1, 2). The Lord strikes Miriam with leprosy. Refusal of the ten spies and Israelites to enter Canaan (Numbers 13:31-14:4). The Lord makes the Israelites spend forty years in the wilderness. A man flagrantly violates the Sabbath by gathering sticks (Numbers 15:32-36). The Lord orders that he be stoned. Rebellion of Korah, Dathan, and Abiram who claim they are holy and should be able to minister in the sanctuary (Numbers 16:1-19). The ground devours them. Also fire from the Lord consumes 250 men that are offering incense as if they are priests. Congregation rebels against Moses and Aaron saying, they killed the 250 men offering incense as priests (Numbers 16:41). The Lord sends a plague that kills 14,700 of them as a sin offering. People complain of no water at Kadesh (Numbers 20:2-5). The Lord tells Moses to speak to the rock and bring forth water, but in anger against the congregation, he strikes the rock and brings forth water. People complain of no food or water and they are tired of manna (Numbers 21:4, 5). The Lord sends fiery serpents and many people die. People commit harlotry with the women of Moab (Numbers 25:1-3). The Lord orders the judges to kill their men that are committing immorality, and that results in the death of 24,000. The second census number is 601,730 (Numbers 26:50). Even though the new census is taken after the plague and after the ten rebellions, the number of men of the new generation are almost the same as the previous generation. Many of the more rebellious tribes lose great numbers, but many of the more faithful tribes increase their numbers greatly. Clearly the Lord is patient with Israel by not abandoning or destroying them in their multiple rebellions. His faithfulness to His covenant promises clearly reveal His amazing love and care for His erring people.